Another successful Engineering Materials Live event was held in May, with visitors able to access some hugely valuable information to aid them in their materials selection. 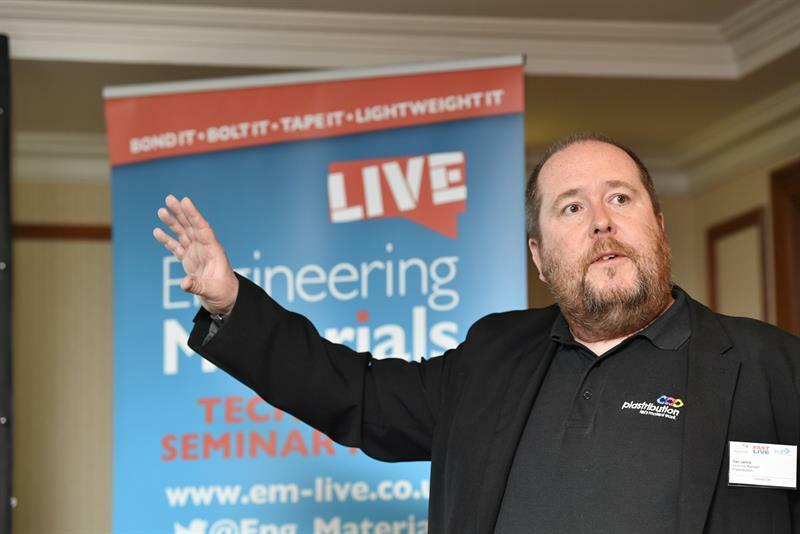 Free to attend and launched as a standalone show in 2017, Engineering Materials Live is a specialist UK exhibition meeting the needs of engineers tasked with sourcing and specifying plastic mouldings, composites, prototyped parts and advanced engineering materials. Selecting the right material for the right application is crucial to the success of any design project, which means working with suppliers that have the materials expertise and application knowledge – this is why Engineering Materials Live was created. Exhibiting companies included those involved in: plastics, rubbers, metals, composites, ceramics, alloys, lightweighting solutions, injection moulding, rapid prototyping, additive manufacturing, metal fabricators, design software (simulation, FEA, CFD), materials testing, design consultancy, minerals and natural fibres, sustainable materials, glass, carbon fibre, expanded materials, foams, coatings & finishing, conductive materials, surface treatment. Highlights included Tufnol Composites, which was exhibiting for the second year running. Visitors were able to see Tufnol’s full range of traditional laminates and the company will be placing a special focus on its machining capabilities and high performance materials.These include carbon fibre, high temperature resistant and low-smoke, flame retardant products. Tufnol Composites has been manufacturing laminates in the UK for almost 90 years. Today thousands of new uses are still being created and the company works with leading brands such as Bombardier, London Underground, Rolls-Royce and Airbus. 4Plas Ltd was also showcasing its extensive range of engineering compounds, with particular attention on their Polycarbonate and PC/ABS range. In the current climate of shortages and ever-increasing price rises, 4Plas has a cost-effective range of compounds available with short lead times. Over recent years 4Plas has developed a range of speciality technical materials under its4TECH banner. They have now accounted an expansion to this portfolio to now include PPO to a range which already contains electrically conductive, heat conductive, specialist flame retardant, carbon fibre and metal replacement materials among others. Alongside the exhibition, of course, was an extensive and well-attended seminar programme. 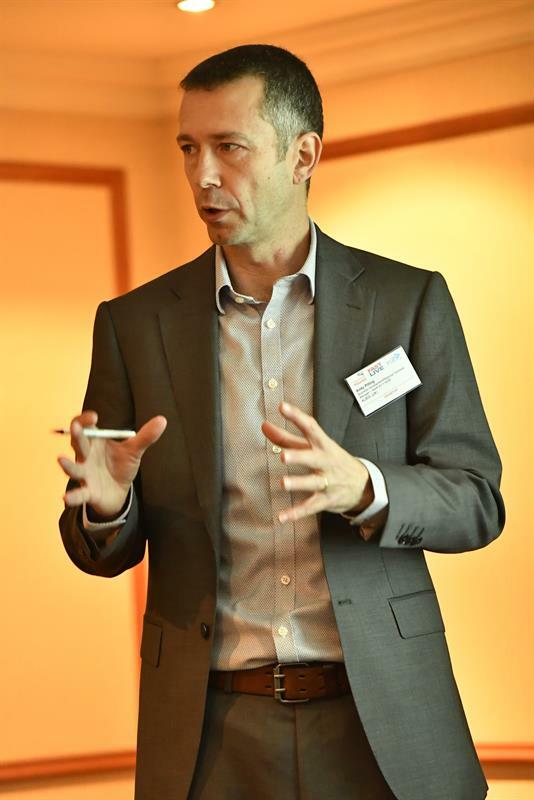 This included a presentation from Andy Pilling, regional technical and business development manager, Albis UK about the highly innovative new recycling technology developed by its subsidiary Wipag. This takes dry carbon fibre waste coming from composite lamination processes and converts it into carbon fibre reinforced thermoplastic compounds. This achieves outstanding mechanical properties coupled with lower densities – offering customers a stronger, substantially lighter weight end product with volume cost save potentials. Another seminar came from Dan Jarvis, technical and business development manager, Plastribution and featured the Vistamaxx performance polymers; specialty materials based on ExxonMobil Chemical´s proprietary technology. This truly versatile product can also be used in other applications such as extruded parts, hygiene and hot melt adhesives. The presentation focused particularly on the benefits of Vistamaxx polymers and the applications on film and injection moulding. A presentation by Nigel Barrow, technical services manager of EMS-Grivory, covered the technical details behind Grivory HT “High Temperature” materials, which can be used in metal-replacement applications at working temperatures well above those of standard PPA. Compared to standard PPA, Grivory HT “High Temperature” provides greatly improved performance at high temperatures with a 50°C higher HDT/C, 50% higher E-Modulus at 140°C and outstanding creep values. The melt temperature is also lower – a further processing advantage.